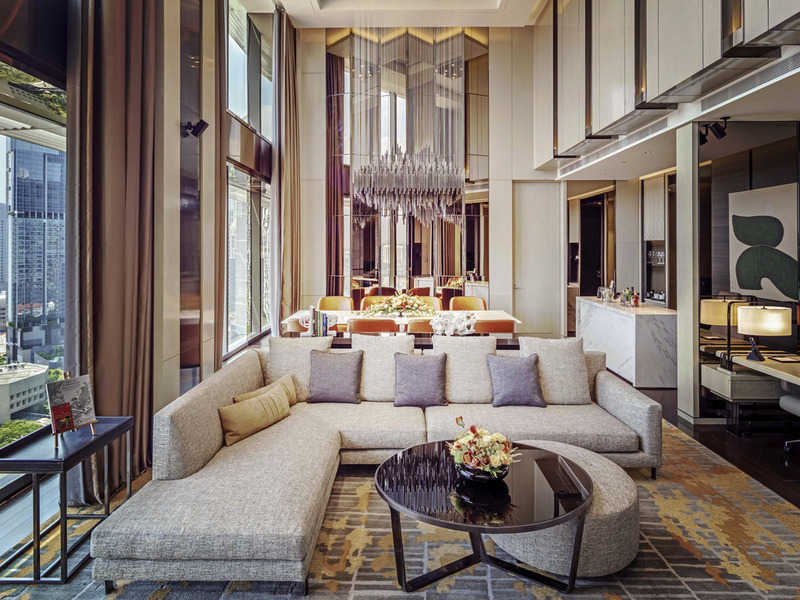 Enter a realm of unparalleled luxury in the heart of Singapore's central business district. 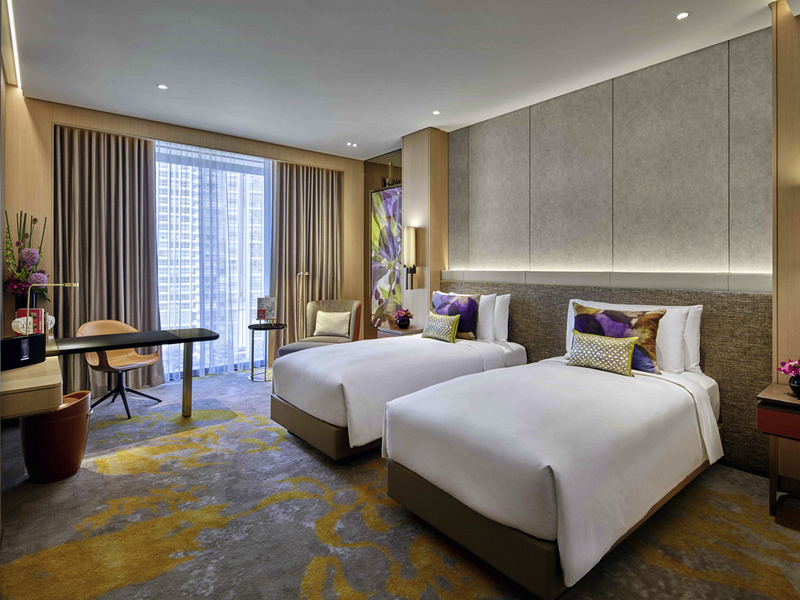 Our 5-star hotel stands tall above the Tanjong Pagar MRT station, a superb location from which to discover the city's many virtues and attractions. For business or leisure, with family, friends or colleagues, be sure to take full advantage of our first-rate facilities and services. An interactive restaurant, a coffee lounge and a lobby bar welcome you all day for meals, light bites and beverages. Your next corporate event in Singapore is sure to be a success when you host it with us. Choose a well-appointed meeting room from our Ensemble Collection. Family celebrations, exclusive soirées and weddings are enchanting occasions in Wallich Ballroom. Staying fit at Sofitel Singapore City Centre is easy with two state-of-the-art gyms at your disposal. You can also work out in the 30-metre infinity pool, or simply relax poolside with a glass of cool Champagne. Each Sofitel is a unique blend of the French art de vivre and local refinement. 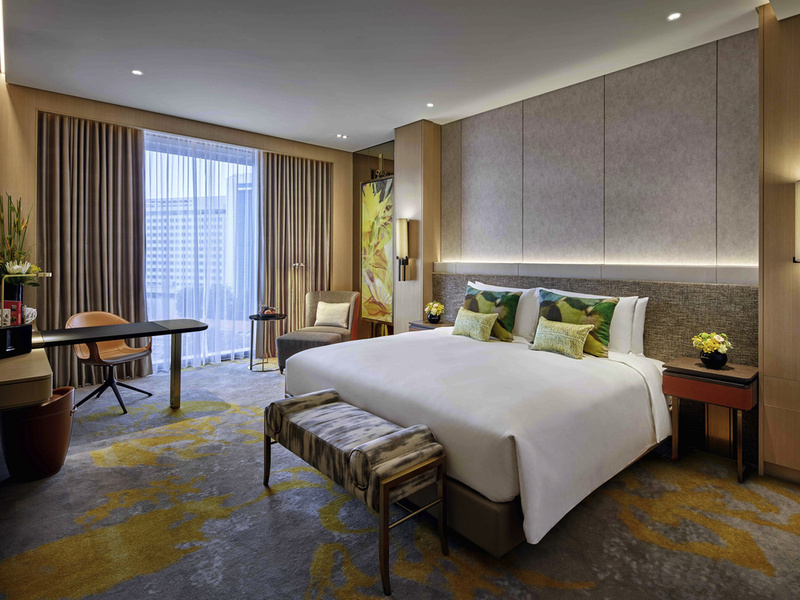 A verdant oasis in Singapore's CBD, Sofitel Singapore City Centre celebrates both the botanical heritage of the Garden City and the immaculate geometry of French gardens. Representing the strong bond that exists between Paris and Singapore, a striking sculpture of crystal leaves, Singapour Je T'aime, heralds your arrival. Above your head, plane tree leaves swirl into rain tree leaves. Local flora is also showcased at Racines, the hotel's signature restaurant. Seasonal ingredients - many freshly picked from our very own herb garden - are used to create French and Asian delicacies in an interactive dining environment. Discover the essence of Singapore at the heart of the business district. There are many sides to Singapore, all equally intriguing, all spectacular. From avant-garde urban planning to historic shophouses and botanical gardens, the Garden City is a melting pot of culture and tradition that never fails to excite and inspire. 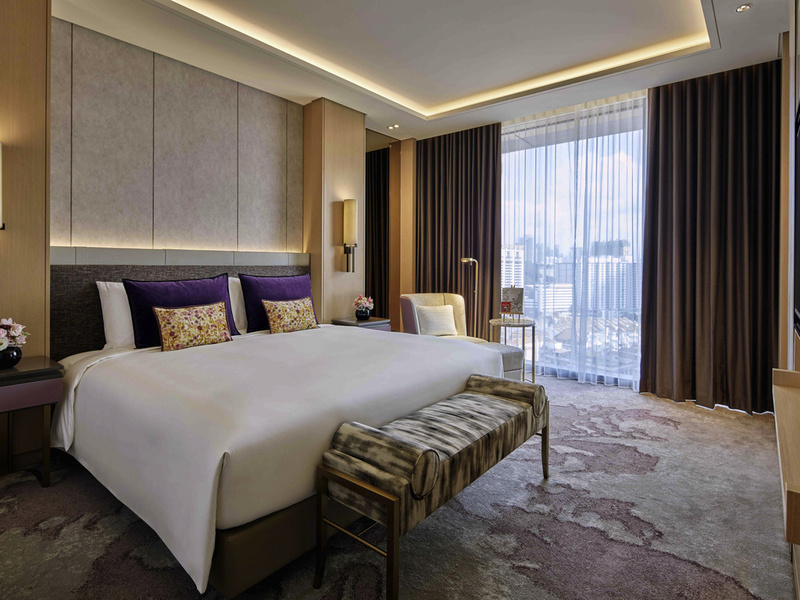 Experience a holiday in Singapore in 5-star Sofitel style. From luxurious bed linens and designer furnishings to the vibrant décor, handcrafted amenities and cutting-edge technology, our rooms and suites were created just for you. 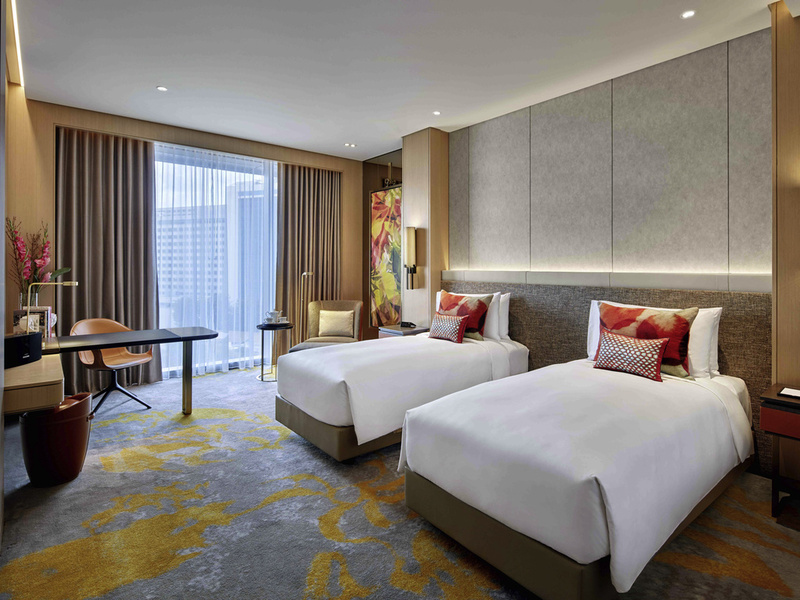 Settle into your very own cocoon of tranquillity in Singapore's thriving CBD. 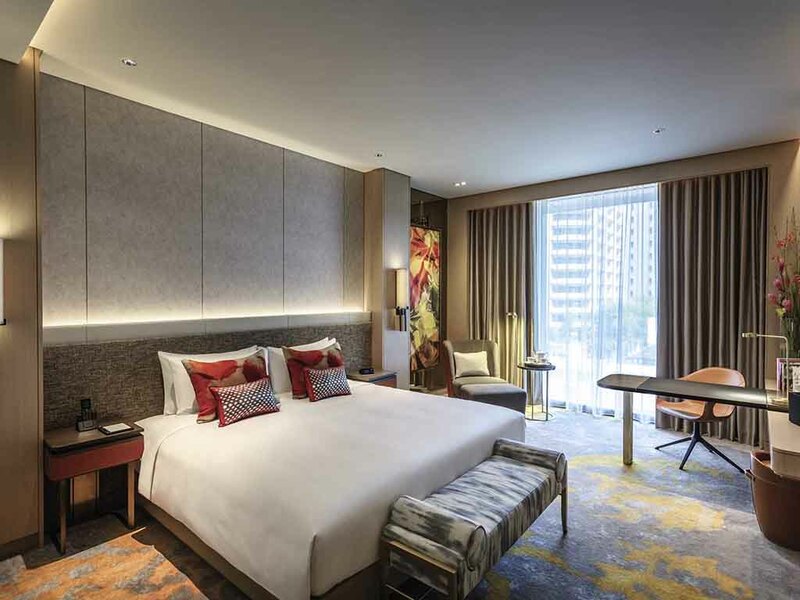 The floor-to-ceiling windows showcase city views while leafy motifs and bright floral paintings pay tribute to the city's rich botanical heritage. Our suites are your home-away-from-home in the city centre. Experience the luxury of a separate living room and access to Club Millésime. The Joaquim Suite, with a fully-equipped kitchen, offers all you need for a superlative stay in Singapore. Club Millésime, our exclusive Executive Lounge, is located on level 6 of the hotel, not far from the Lawn, SoFIT and our idyllic infinity pool. Guests staying in a Club Room can take the lift straight to level 6 for a speedy check-in. The Lounge itself is a relaxing oasis in which to enjoy informal drinks and culinary delights in the Tanjong Pagar district. Enjoy an indulgent breakfast, a light lunch, afternoon snacks, or cocktails and canapés, depending on the time of day. Join us for an interactive culinary experience at our signature restaurant during your stay in Singapore. Marvel as a talented team of chefs prepare innovative dishes from Asia and France before your very eyes. Open daily for breakfast, lunch and dinner. Whether you are in the mood for tea, tapas or a decadent treats, we have just the place for you. 1864 is open all day for breakfast, lunch, snacks and drinks. For a fresh-brewed cup of coffee and a slice of heaven, join us at Coffea, our Nespresso bar. Sip signature cocktails with friends, savour a relaxing breakfast with the family or treat colleagues to a well-earned glass of Champagne (complete with sabrage) after a productive day. Whatever the hour, 1864 invites you to unwind and enjoy. Sofitel Singapore City Centre presents "The Ensemble Collection", bringing fresh creative alternatives to traditional event venues in the Lion City. Host business meetings, conferences or seminars in our 10 flexible rooms designed to inspire productivity. Unparalleled convenience is yours thanks to a prime location directly above the Tanjong Pagar MRT. Our Magnifique Meetings planners are always nearby to help with organisation, leaving you free to concentrate on your guests and the business at hand. For sensational soirées, the Wallich Ballroom can accommodate up to 950 guests in cocktail configuration. The vast pillarless space with its adjoining VIP room is ideal for large corporate events, such as product launches or awards ceremonies. When ceremonies, solemnisations and celebrations are in store, Sofitel Singapore City Centre is an idyllic venue for a fairytale wedding. Share your dreams with us. Specialists in tailor-made experiences, we know how to make them come true. You and your guests are treated to a mouthwatering feast, custom-designed to reflect your tastes. Top chefs from France, China and award-winning Imperial Treasure join culinary forces to bring you a wide variety of dishes, presented like works of art. Host a formal wedding banquet in Wallich Ballroom, the crowning jewel of our Ensemble Collection of meeting and event venues in Singapore's CBD. Smaller celebrations are held in Saga Ballroom while the Lawn provides a scenic outdoor alternative. Our team of Magnifique Wedding planners strive to make your wedding in Singapore a unique event to cherish for a lifetime. From intimate ceremonies to lavish banquets, we see to all the details, bringing you peace of mind through cousu main service. With some of our Magnifique Wedding packages come certain perks and privileges, including a night in the luxurious Prestige Suite for the bride and groom. From solemnisations to cake-cutting ceremonies, we adapt our packages to suit your traditions and customs. So you can have the wedding day you always dreamed of in Singapore. Singapore is a dream destination for an unforgettable wedding. 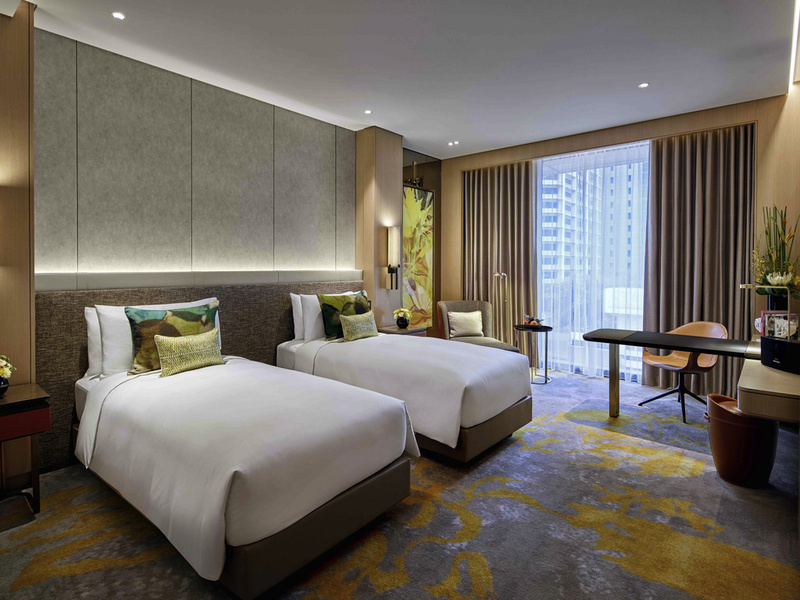 Sofitel Singapore City Centre is in an ideal central location with direct access to the Tanjong Pagar MRT, making it easy to reach for your guests. Parking space can also be arranged. Spend your first night as a married couple in a magnifique Prestige Suite, followed by a decadent breakfast at Racines. For a true taste of Singaporean luxury, an extensive list of bespoke arrangements enables you to tailor your honeymoon to your desires. 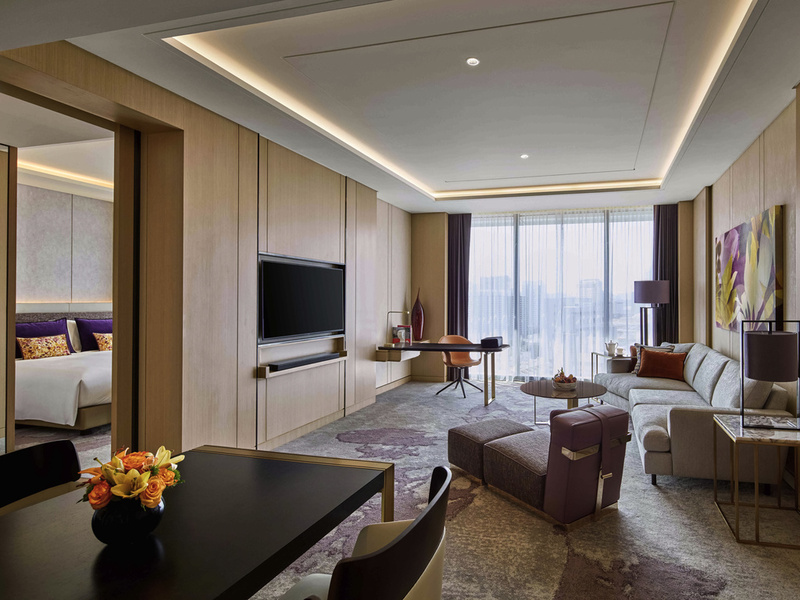 Beyond luxurious rooms and stellar facilities, Sofitel Singapore City Centre offers a host of 5-star services to make your stay in the Lion City even more magnifique. Whatever you desire, our team goes to lengths to ensure your happiness. In need of some guidance or assistance during your stay in Singapore? Looking for someone who knows all the ins and outs of this thriving metropolis. Our concierge is at your service day and night. Our concierge can arrange limousine transport to and from the airport in a Mercedes, BMW or luxury coach. Parties of up to 44 people can travel in style and comfort, taking in the sights of Singapore along the way. There is no better retreat from the tropical city heat than our 30-metre long infinity pool. In an enchanting urban oasis, take in spectacular views of Singapore as you enjoy a refreshing swim, followed by Champagne in the leafy shade. Sofitel Singapore City Centre offers many possibilities when it comes to staying in shape. Not one, but two state-of-the-art fitness centres - SoFIT in the hotel and the Virgin Active Fitness Club - welcome you daily for an invigorating workout.